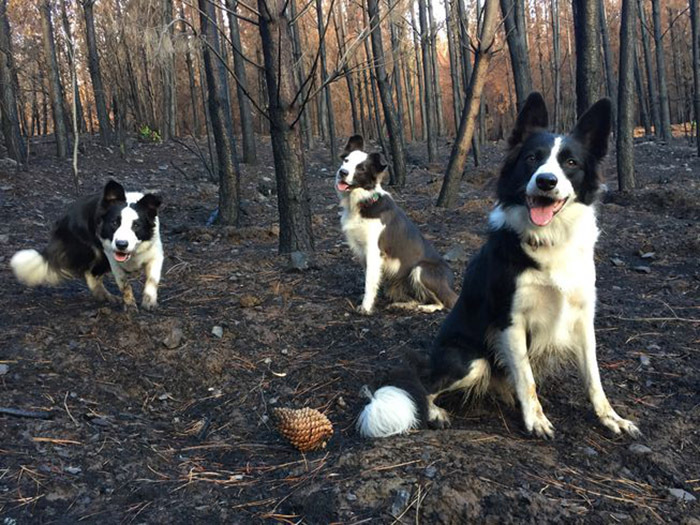 A group of Border Collies are having the time of their lives and they don't even realize how much they are helping the planet. Meet Das and her two daughters, Olivia and Summer. 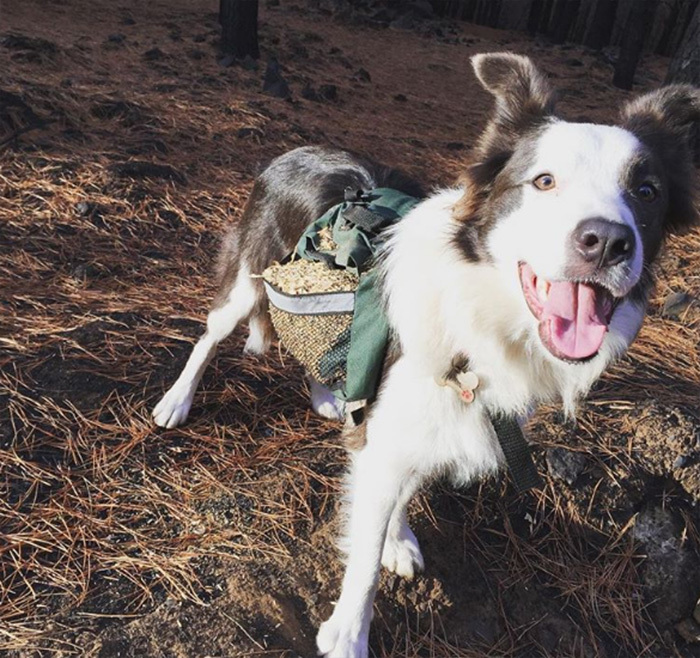 The three Border Collies have been trained to run through the damaged forests with special backpacks that release native plant seeds. Border Collies are the perfect breed for this type of job. Running through miles of forest terrain requires not only speed, intelligence, and endurance, but also a willingness to stay focused and not get distracted by wildlife. Although the task is a serious one, it's an excuse for the dogs to have fun. "They reeeeeally love [it]!!" their owner, Francisca Torres, told Mother Nature Network. "It's a country trip, where they can run as fast as they can and have a great time." Torres said the hard work has already begun to pay off. "We have seen many results in flora and fauna coming back to the burned forest!"